Let’s help our friends in the Florida Keys! Hurricane Irma tore through the Caribbean and Florida wreaking havoc and destruction in its wake. My family and I left an “A” evacuation zone in Key Biscayne and were extremely fortunate to not only get out of the storm’s path safely, but also to have zero damage to our home and livelihood. I have friends who were not as fortunate and I am determined to do whatever I can to help. And I know you feel the same way! The heartbreaking footage on TV (yes, I know the news outlets tend to show the worst of the worst) plus the stories of struggle I saw from friends on my social media feeds, makes my heart ache. I donated to a few organizations to help victims of Hurricane Irma, but I still feel like I need to do more. But what? 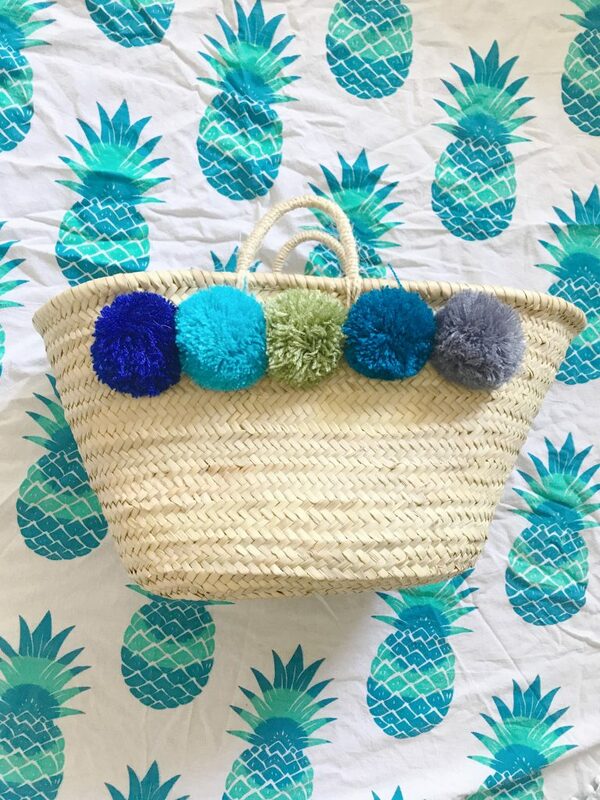 I purchased 50 handmade Moroccan beach bags with ocean-colored pom poms and 50 beach blanket “roundies” with blue pineapples and white tassels. What if I could sell these beach bags and blankets and donate all of the funds to victims of Hurricane Irma? 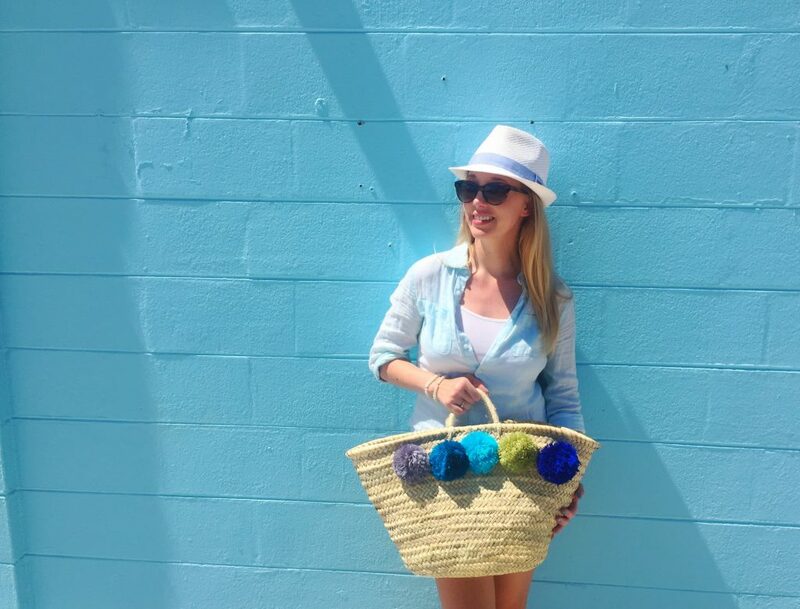 I originally was going to sell the beach totes and blankets as part of a business idea. But I decided that instead of making a profit, I want to donate 100 percent of the proceeds to help the resilient residents of the Florida Keys. P.S. 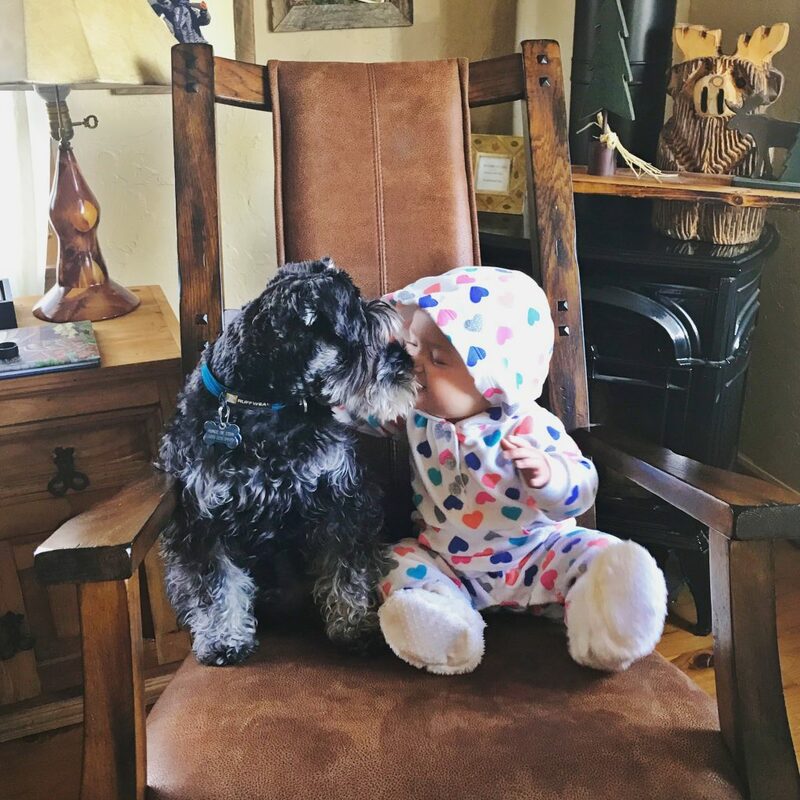 Here’s a photo of Ponce de Leon and Lola in Grand Lake, Colorado. Thanks to kind family members, this was our refuge after evacuating. 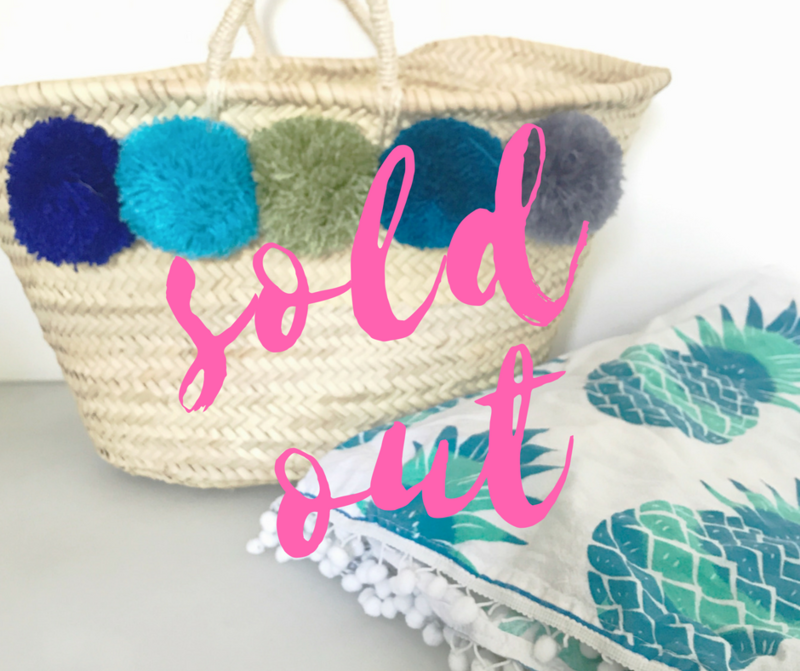 Buy a beach bag, blanket or both! Please pardon the amateur product photos! Just took these really quickly on my iPhone. The ones of me are from awhile back. I’ve chosen to focus specifically on the Florida Keys for this fundraiser because they got hammered and could really use our help. And I personally know of residents from the Keys who are in desperate need of aid. I’m not talking about those who lost their second homes or yachts. I mean full-time residents who have lost their primary home and livelihood. My friend Jannette De Llanos grew up in the Florida Keys and her family has been there for years and years. They are small business owners and have been spending every waking moment helping their neighbors survive and clean up after the storm. Click here to see an example of how they’re working tirelessly to help others. 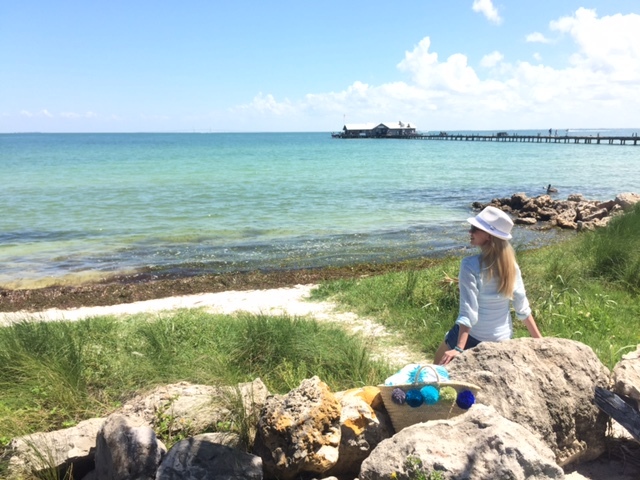 Jannette’s office is in Islamorada and she has been coordinating supplies and aid. She knows exactly what her neighbors need and is leading a grassroots effort to rebuild her community from the upper to the lower Keys and everywhere in between. Rather than donate the money to an international organization, I’ve decided to donate the proceeds to Jannette’s efforts to buy supplies. To be clear: Since I’m using these funds to go directly to victims of the hurricane, it does NOT mean that I don’t ALSO support organizations like the United Way and American Red Cross. I do! I’m just in a unique situation with friends on the ground in the Florida Keys who I know can make an immediate impact for good. If you’re not interested in buying a beach tote or blanket at this time, please consider making a one-time $10 donation by texting the word DISASTER to 20222. The Florida Disaster Fund is the Sunshine State’s official fund to help hurricane victims. Please note that I am NOT going to make ANY money off of this. I simply want to raise funds for my friends in need in the Florida Keys! 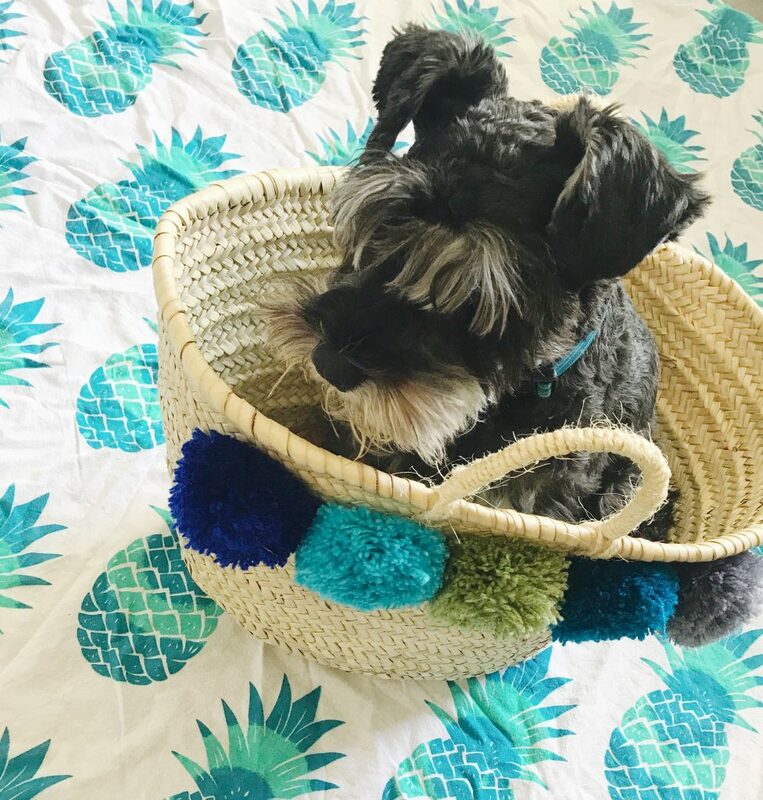 So how about I trade you either a Moroccan beach bag or a pineapple roundie (or both!) for funds that will help victims of Hurricane Irma? We met our goal! Products are sold out!! 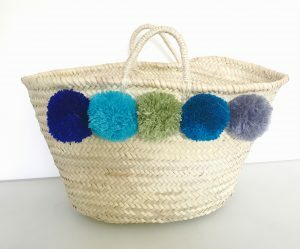 Moroccan Beach Tote Description: Handmade Moroccan beach bags with large ocean-colored pom poms on one side. Carry around all your essentials to the pool or beach. Or use it for an everyday bag. I even use it as a diaper bag! 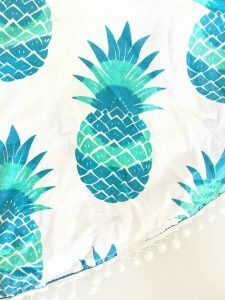 Pineapple Roundie Description: Chic white beach blanket with blue gradient pineapples and white tassels. 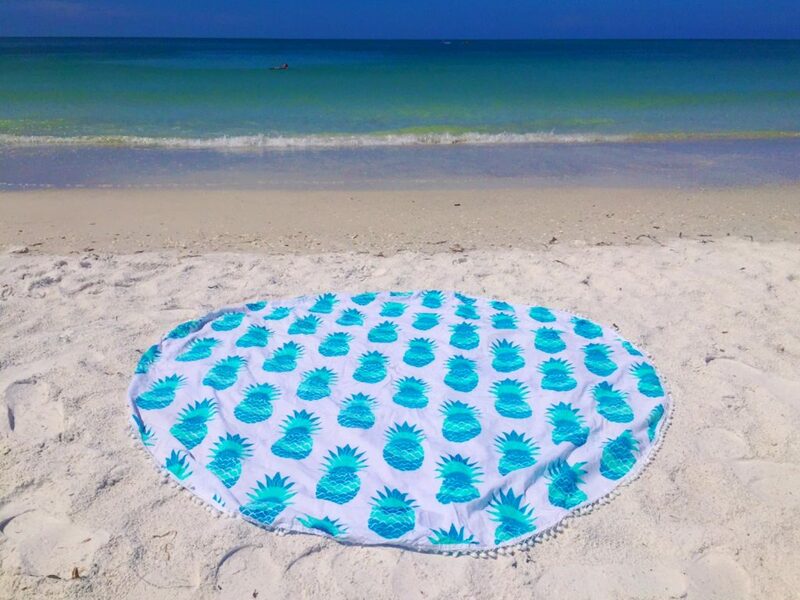 Roll out this roundie on the beach or at the park. It’s perfect for a picnic. Or hang it as wall art to spice up a coastal-themed room in your house. Thank you so much for helping hurricane victims in the Florida Keys! 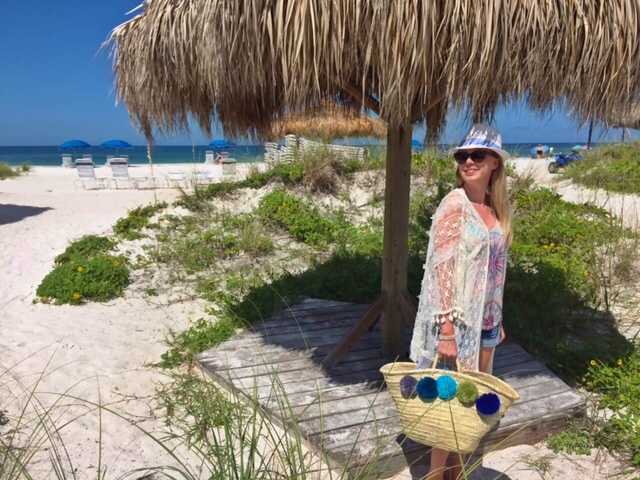 All proceeds from the sale of beach totes and blankets will be used to help residents in the Florida Keys. Hi! 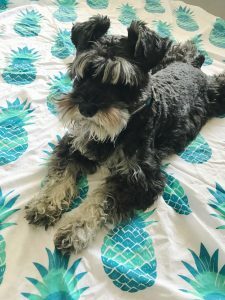 I am trying to purchase one of your Pineapple Roundies. I live in Naples and love that the money is going to the Keys. My sister in law is pregnant and went through the storm here. 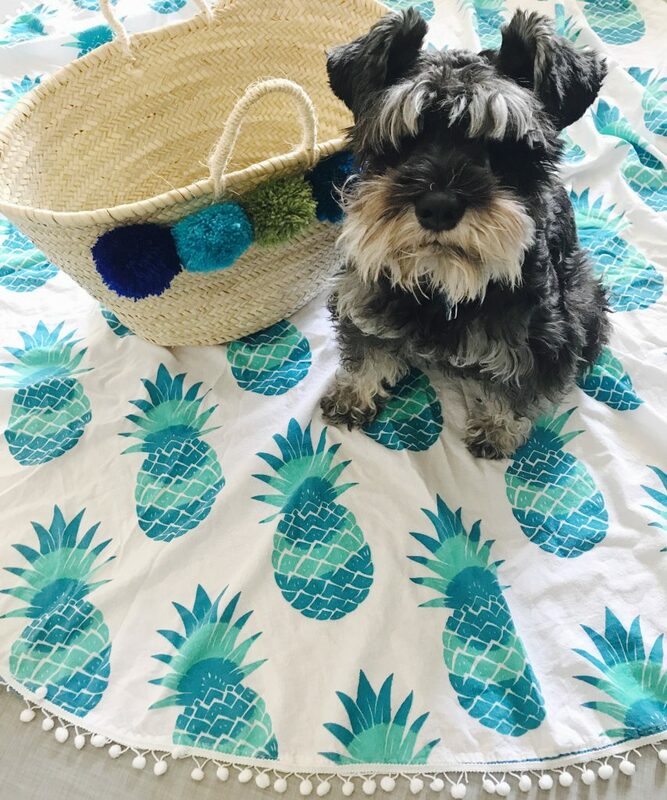 She loves pineapples and would love to get this for her. I tried checking out with PayPal but don’t know where to send the money. It doesn’t give me an option to send to you. Please let me know how I can order one. Thank you! If I purchase both the bag and towel, exactly how much of the $150 will go to the Hurricane Fund? I realize and appreciate that you are giving the proceeds of the sales to this fund! I’m just wondering if the entire $150 gets donated, or the amount after your expenses for the products are taken off. If it is the amount you clear that you are donating, what amount would that be? Hi Terry! Excellent question! I spent $28 on those two products. But I really want to reach my goal to raise $5,000 total, no matter what. So at the end, I’m going to donate my cost (and more if necessary) to make sure we get there. Please don’t hesitate to reach out with any more questions! And you’re always more than welcome to email me directly, too: kara@karafranker.com Thank you!! Also trying to purchase and having a bit of trouble. 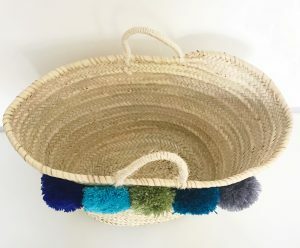 The basket isn’t showing up in my paypal so I can’t seem to purchase. Hi Lynn! Try searching for my email in PayPal (kara@karafranker.com) and see if it works to send payment that way. For a few people who have had issues, that’s seem to do the trick! Please let me know if it works. We’re so close to our goal! Hi Joy! 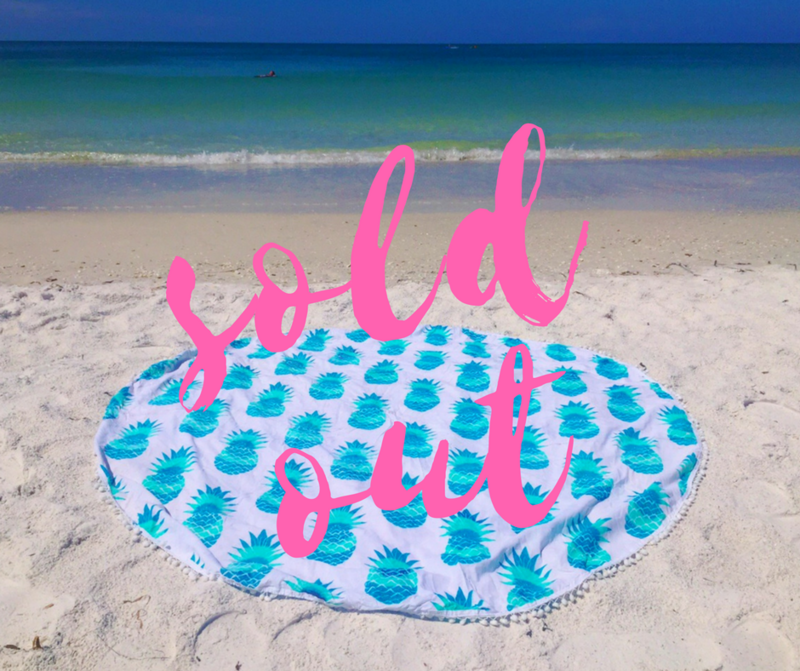 I’m so sorry but I’m all sold out of the beach blankets. Let me know if you’d like a bag!